JNN 20 June 2014 Cairo : Egypt’s Prime Minister Ibrahim Mahlab was sworn in on Tuesday at the head of a new government by the country’s newly elected President Abdel-Fattah el-Sisi , on Tuesday in an early morning ceremony at the presidential palace in Cairo. The swearing-in ceremony took place at the presidential palace in the capital, Cairo, and state television aired live footage from the swearing-in early in the morning hours. Last week, Mahlab and his ministers submitted their resignations to make way for a new government following el-Sissi’s election, but he was asked by the new president to return to the post. The new Cabinet includes 34 ministers including four women and several technocrats. The Cabinet must be approved by the new parliament, which is to be elected in July. The former military president had summoned the ministers to a palace in northern Cairo at 6 a.m. for a ceremony that began promptly, an hour later. The prime minister echoed the need to move quickly, promising an energetic, focused and better coordinated regime. 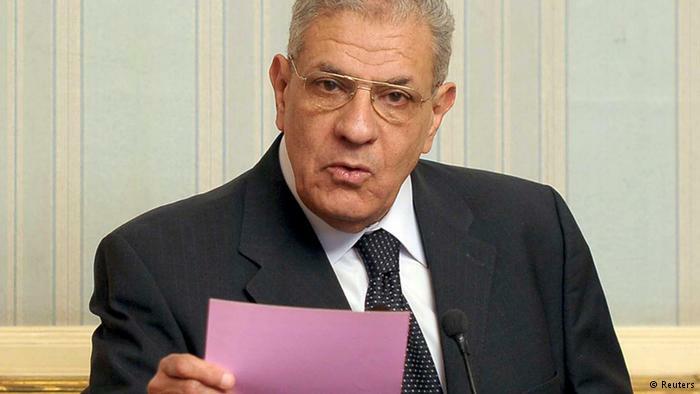 “There is no time for rest,” Mahlab was quoted as saying on the front page of the state’s Al-Masry Al-Youm newspaper. “We will start our work from the early hours of the morning as there is a strict plan and new technique of work to tie all the ministers to work together and not work as if they were isolated islands,” he added. Prime Minister Mahlab must implement strict measures to revive the country’s flailing economy, which has suffered after more than three years of protests and instability. Foreign investors have left the country and political unrest has dealt a severe blow to its tourism industry. Egypt has been in turmoil since an uprising in 2011 that saw longtime strongman president Hosni Mubarak deposed. Then last July, his successor Islamist President Mohammed Morsi was ousted by army chief and newly elected President el-Sissi. Morsi’s Muslim Brotherhood has since been banned as a terrorist outfit, but the group and its supporters continue to claim that the new authorities are illegitimate. El-Sissi won the elections in May with nearly 97 percent of the vote with a voter turnout around 45 percent. This entry was posted in AFRICA and tagged Egypt's New Cabinet, Mahlab, President Abdul Fatah Al Sisi. Bookmark the permalink.